Vestiaire Collective has become known as a treasure trove of pre-owned luxury fashion since it was launched in 2009. On the hunt for vintage Rick Owens, Comme des Garçons or Raf Simons? It’s likely you’ll find at least of few rare pieces on the site’s digital shelves. Also known for its collaborative projects (like the time Chloë Sevigny presented an edit of her favourite pieces, which promptly sold out), the brand has joined forces with independent specialist Byronesque Vintage to curate a special collection that celebrates some of fashion’s most influential designers. Offering 200 one-off pieces, the collaboration brings a unique collection to its customers to show that vintage is more relevant than ever before. 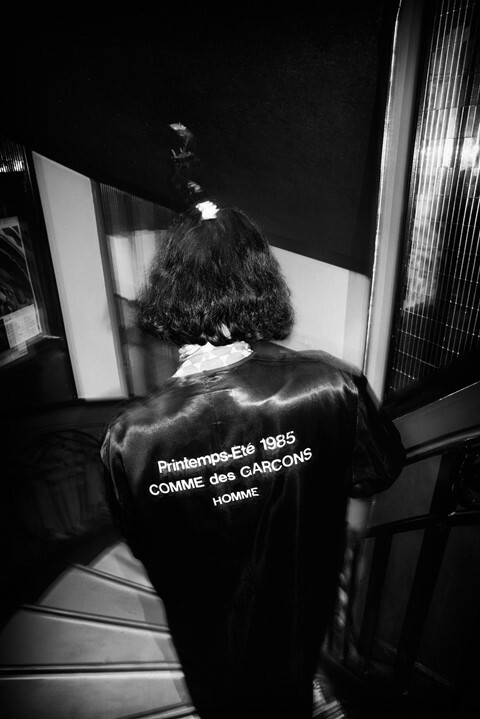 From Punk to the mid-00s, the pieces are carefully curated by Linton who looked beyond trends and selected clothing from brands such as Comme des Garçons, Maison Martin Margiela, and Helmut Lang. There are even super rare items like Jeremy Scott’s logo trench, and Jean Paul Gaultier’s 1998 belted trench coats up for grabs. “I capture people in their real and natural environments. People who are interesting,” Ridgers told us. “Byronesque talks about clothes that can’t necessarily be figured out straight away.” The film shows an underground club scene – a regular theme of choice for the photographer – with the models dancing to mesmerising electronic music. If you’re a fan of rare and iconic fashion items, you’ll be pleased to hear the collection is launching online tomorrow. Don’t hang around though, as they will likely be snatched up quickly.